We rent a variety of band and orchestra instruments including violins, flutes, saxes, clarinets, cellos, guitars, and trombones. Call us at 323/299-1392 with any questions about our current inventory! All rentals require a credit card and two months rent paid in advance. 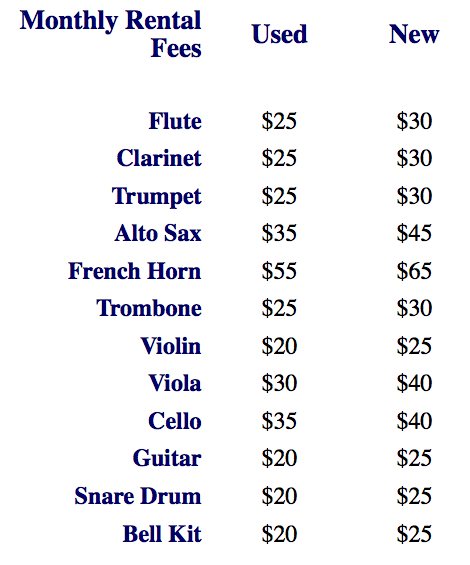 The 10% security deposit is refundable upon return of the instrument or can be used towards the purchase. A 25% discount for purchase is offered on the remaining balance if paid in full.